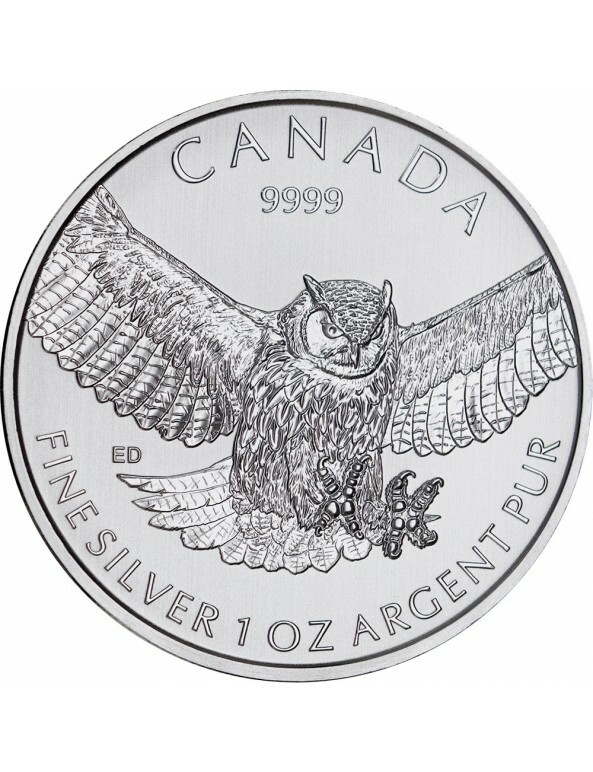 The 1-ounce Silver Great Horned Owl coin is the finale of the Royal Canadian Mint’s Birds of Prey 4-coin series. 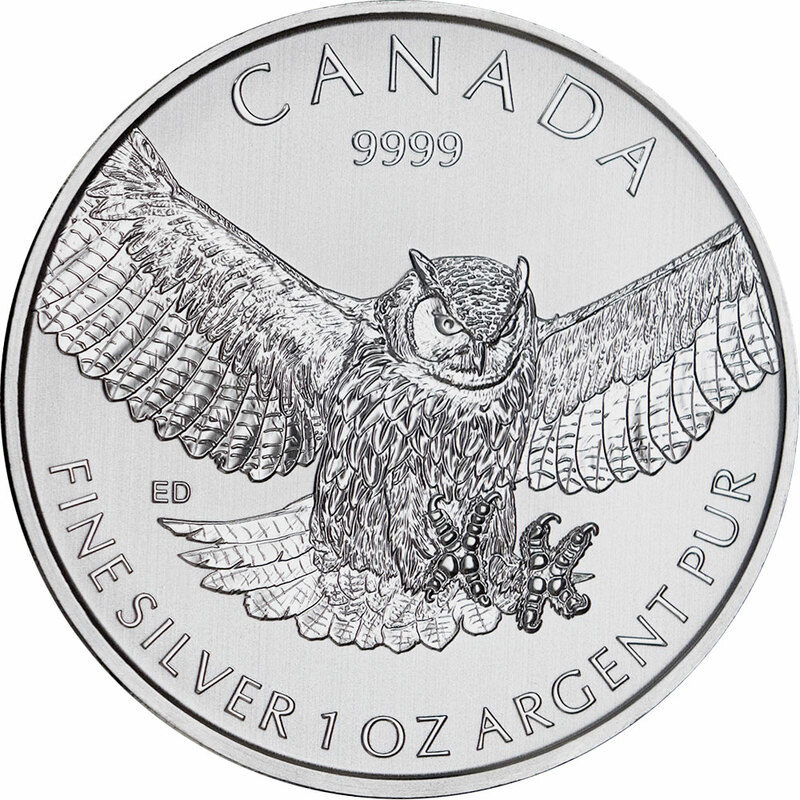 Consisting of 99.99% pure silver, the Silver Great Horned Owl is minted with a bullion finish and holds a face value of 5 Canadian dollars. With a maximum mintage of 1 million coins, the 1-ounce Silver Great Horned Owl is a limited edition bullion coin that celebrates Canada’s most prevalent bird of prey and its role in the ecosystem. 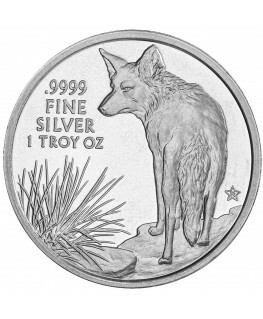 Canadian artist Emily Damstra designed the great horned owl illustration as well as the artwork for the coin’s predecessors: the peregrine falcon, the bald eagle, and the red-tailed hawk. 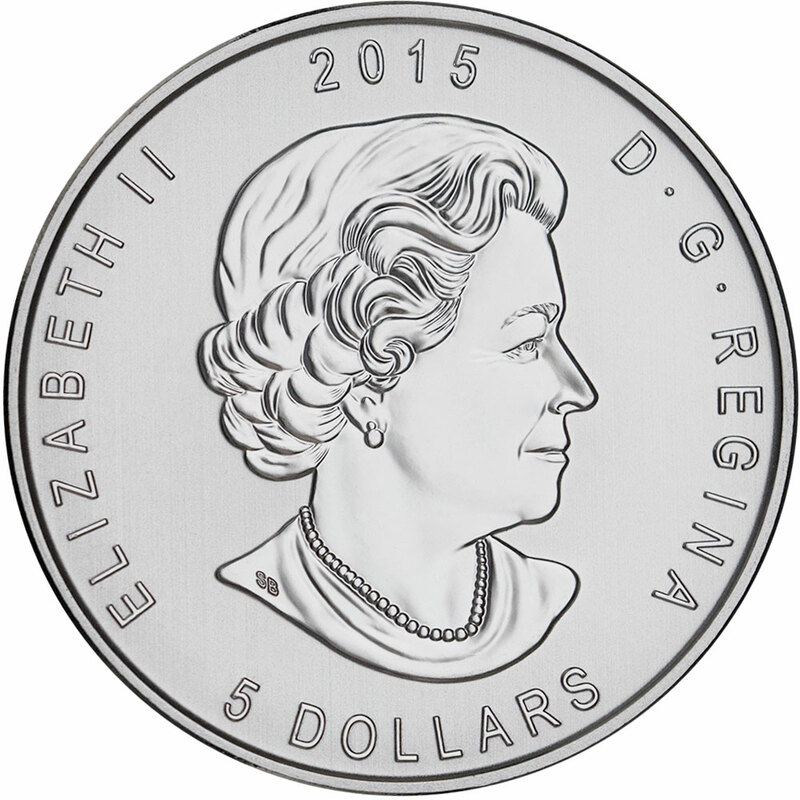 Featured on the obverse is the traditional effigy of Her Majesty Queen Elizabeth II, designed by Canadian artist Susanna Blunt in 2003. 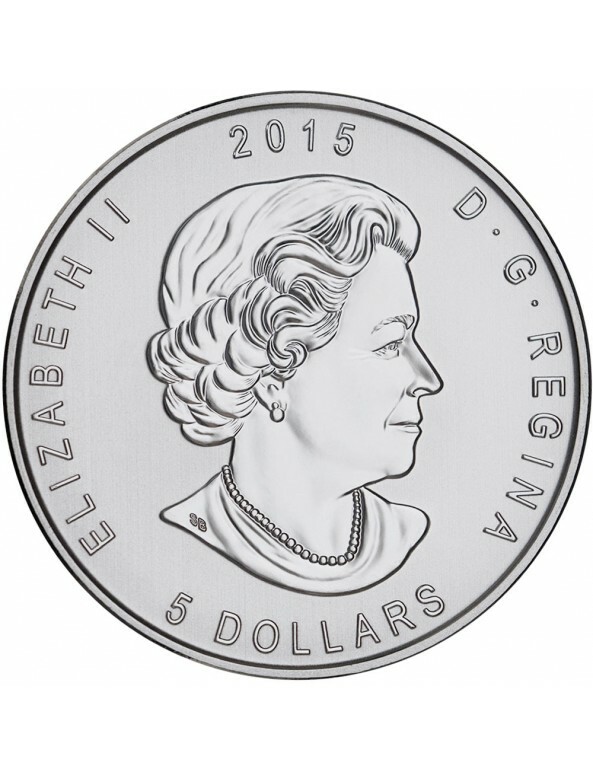 Surrounding Her Majesty’s portrait is the mint date, “2015,” at the top, the face value, “5 Dollars,” at the bottom, and “Elizabeth II” on the left. 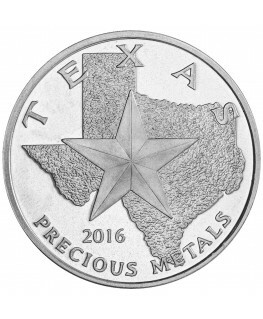 The right curve of the coin features the abbreviated proclamation “D. G. Regina,” which stands for Dei Gratia Regina or By the Grace of God, Queen. 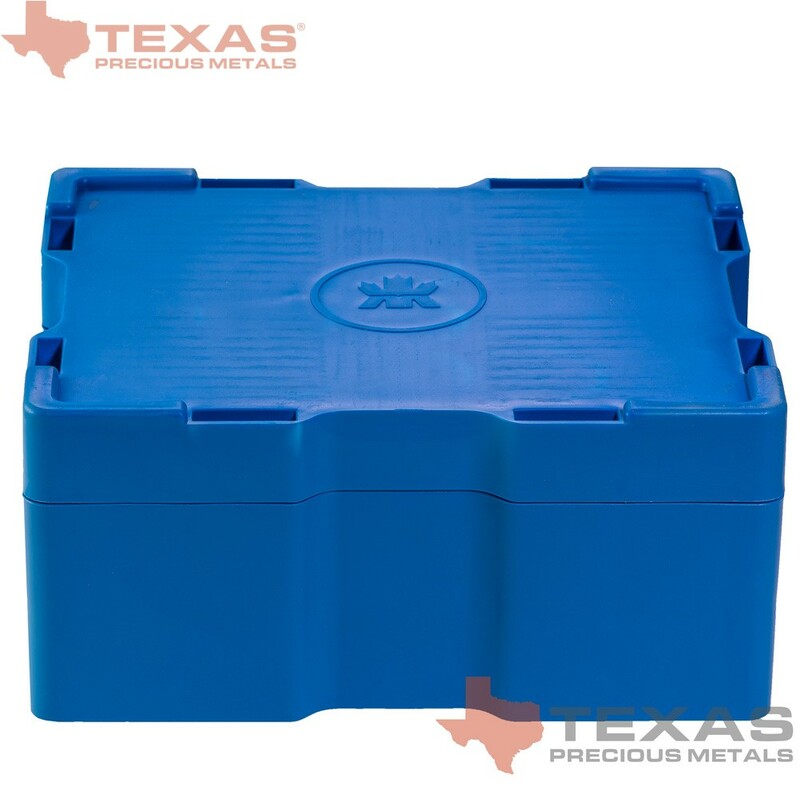 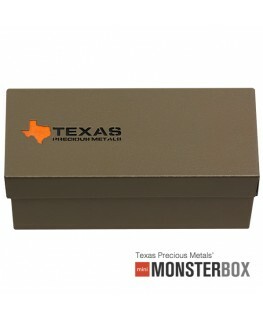 The 1-ounce Silver Great Horned Owl is 38 mm in diameter and 3.15 mm thick.